DARREN Lehmann might have to excuse himself from a few selection meetings this week. 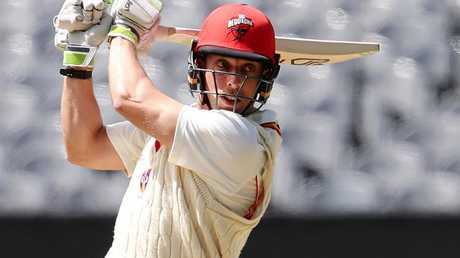 The son of the Australian coach, Jake Lehmann smashed a scintillating Shield century at the MCG to suddenly put his name forward as a potential bolter for the first Ashes Test. Lehmann senior has said before that he makes a point of stepping out of the selection room whenever his son's name is brought up. Those mentions have increased, and with six first-class centuries to his name at an average of 42 the time has come to consider him more seriously. Jake Lehmann on his way to a century against Victoria. With a distinct lack of No. 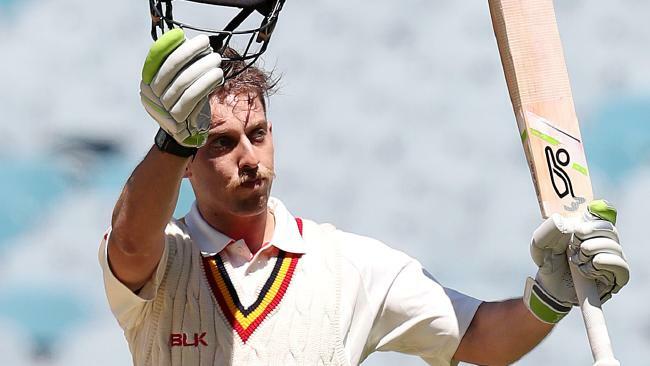 6 candidates standing up to be counted in the opening two Shield rounds so far, Lehmann sent a reminder of his talents with a rapid-pace 103 off 115 balls for South Australia against Victoria. Left-handed and free-hitting, Lehmann is a chip off the old block - perhaps not as textbook as some of his rivals, but the scoreboard is showing he can make runs. 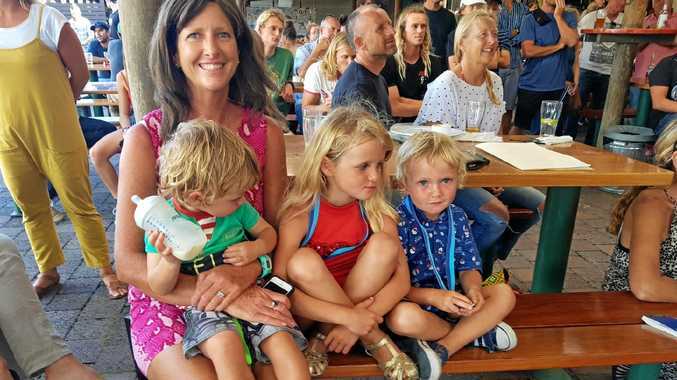 Test great Steve Waugh backed Lehmann to call it straight if son Jake makes it onto the shortlist. "I can understand Darren's position," he said. "It's difficult to go in there and be unbiased, but I think people would respect that if he was in there he would give an honest assessment and that's what I did in the Australian team when Mark was in the team. Will Maxwell’s new stance win over selectors?